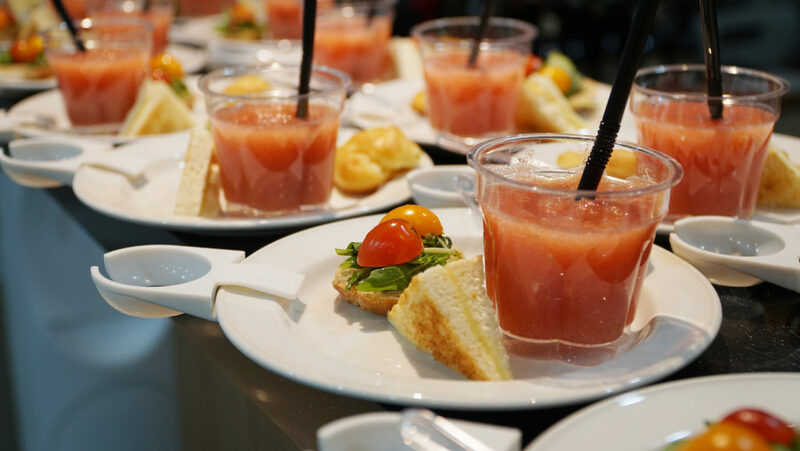 It was a delightful afternoon for students, lecturers, and guests who arrived at SDH city campus for the annual Hospitality Leaders’ Reception event. 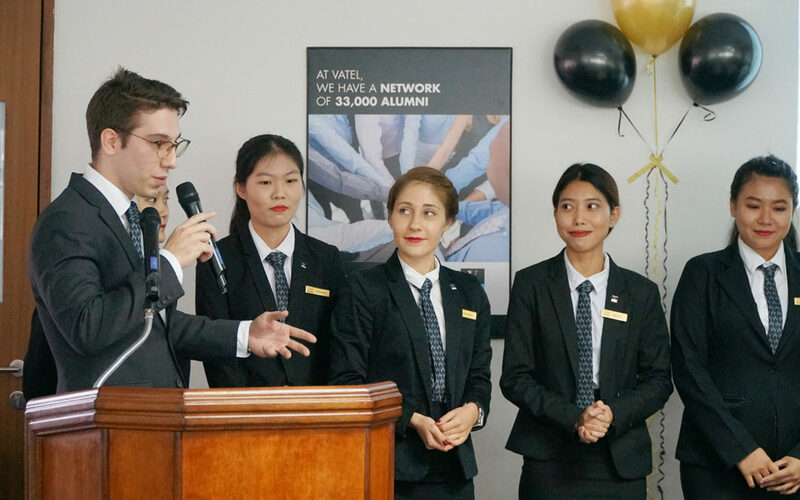 This reception was organised by a diverse group of students from Vatel’s Bachelor’s Degree in International Hotel Management programme, which aim to provide a convenient platform for hospitality industry professionals to engage in an afternoon of interaction and insightful discussions over a glass of wine. 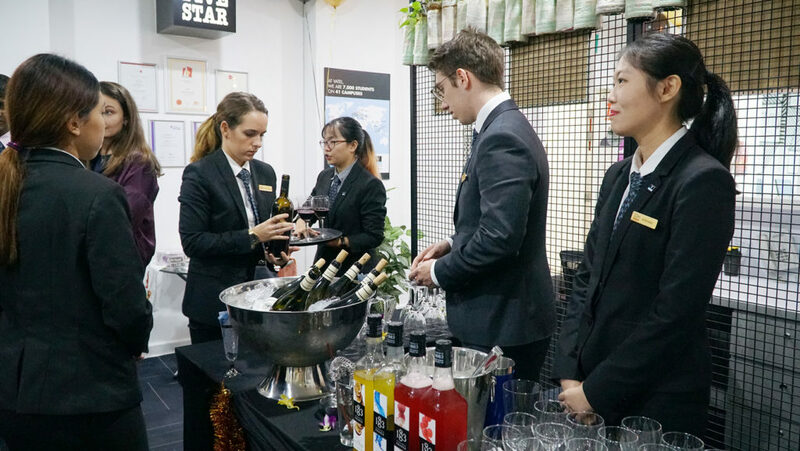 As the school consistently aims to keep abreast with the latest trends in the hospitality and tour­ism industry, the reception also showcased demonstrations and presentations by industry experts and professionals. 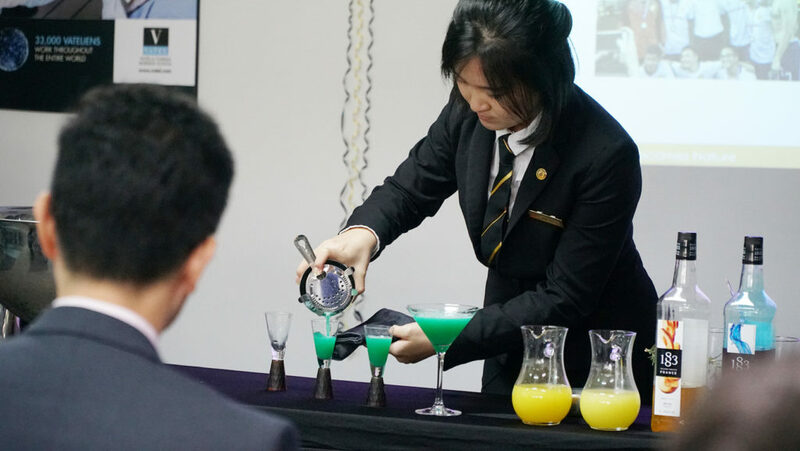 We were delighted to have 2 guests speakers, as well as a short performance by our very own students – Abigail Chieng, Champion of National Cocktail Competition 2018 and Julie Li, second runner-up of National Cocktail Competition 2018. The first guest speaker was Mr Jonathan Yap, the senior business manager at TTG Asia Media. TTG Asia Media is the leading Travel and Tourism Publisher and Events Organiser In The Asia-Pacific. He has experience in creating effective and integrated marketing campaigns that help travel suppliers engage leisure travel trade and MICE. 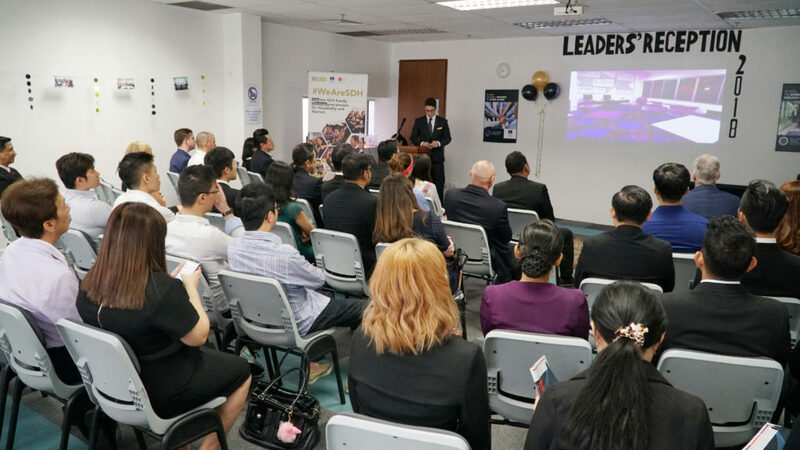 Mr Yap gave an interesting and insightful presentation on film branding on hospitality – “Not-So-Crazy Rich Asians” – What Hotels can learn from Hollywood. 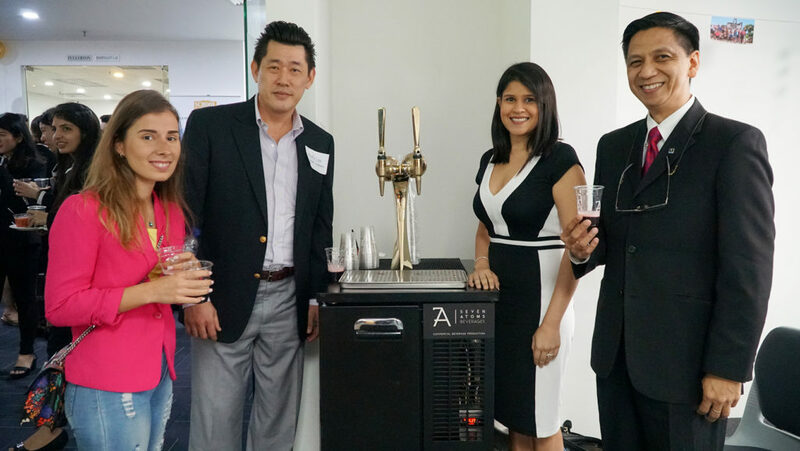 Our second guest was the Xerone Solutions team where they demonstrated Nitro Brew tea and coffee. Xerone Solutions is a Singapore based startup with the desire to revolutionize the way consumers drink beverages by using technology and creativity. They also house Asia’s first large scale, state-of-the-art commercial beverage production facility dedicated to the craft of Cold Brew Coffee and Tea. 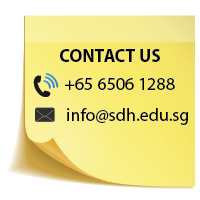 The bachelor’s degree students have outdone themselves in organising and coordinating this event.